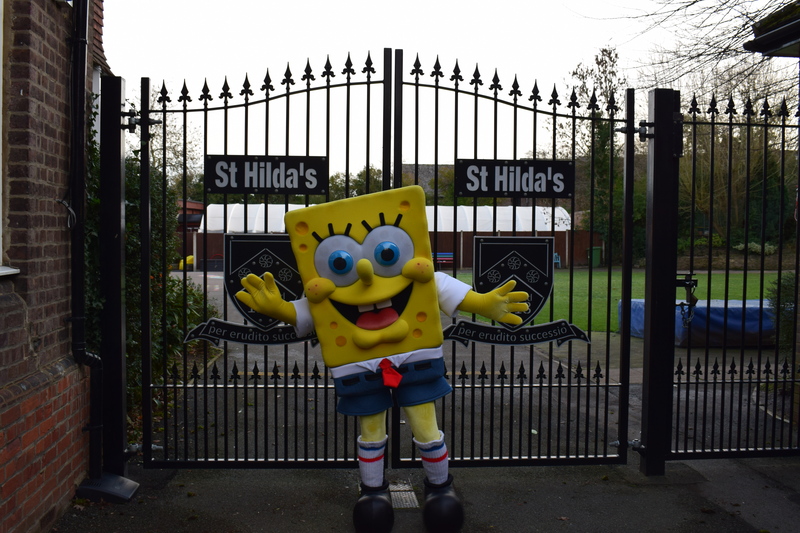 The school was treated to a surprise visit from SpongeBob SquarePants last week after winning a national competition organised by the Jeans for Genes campaign. 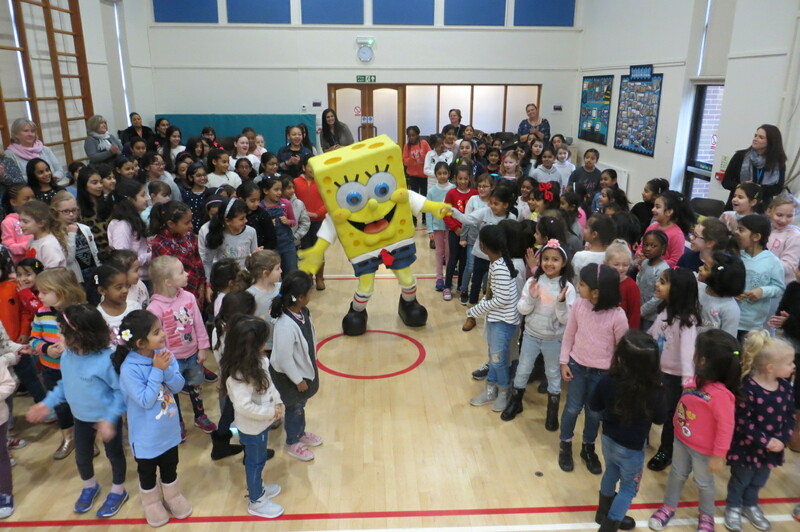 We welcomed the famous Nickelodean cartoon character at assembly where he danced with the girls, handed out prizes and thanked them for his new jean designs! The whole school took part in the competition last September and was selected as the winning school out of hundreds of entries. In particular, the designs of three students – Amiya, Shrina and Siya (pictured below), all Form 2- were recognised as outstanding. Their winning entries helped the school come out on top! What a great accomplishment for the girls and wonderful overall outcome for the school. 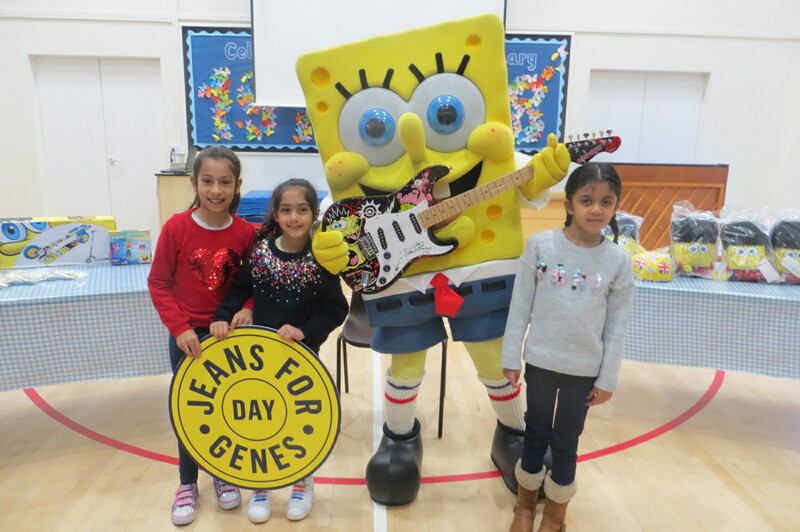 In addition to taking part in the competition, the school has raised over £150 to support the work of Jeans for Genes.